The Lake House dining room is complete with crisp white linens. The Daylesford area has always had great pull power thanks to its burbling, fizzing, healing mineral waters which may be pumped up from the depths to drink or bathed in at one of the many spas. But you can eat and drink well in those fertile plains, never more so than now. 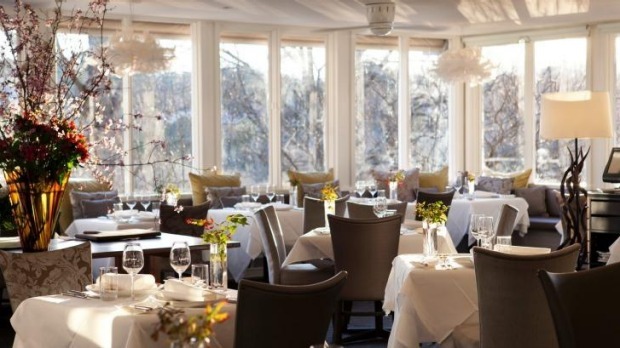 The Lake House is the obvious big ticket blowout, with the light reflecting off Lake Daylesford onto crisp white linens and Alla Wolf-Tasker's garden-plucked dishes. The food has a spryness that belies the restaurant's 30 years of age – see the silky bug agnolotti boosted by kimchi and kaffir, or veal tartare on a seaweed crisp with bonito, like a twisted vitello tonnato). 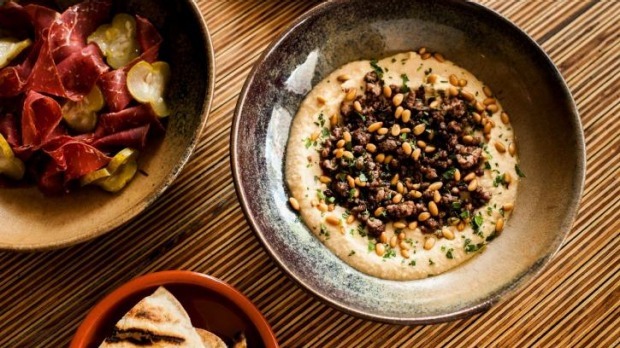 There's a new private dining room with a deck if you want to spend big on a party for 40, plus gun sommelier Meira Harel (ex-Grossi Florentino) has joined the team, pushing a brilliant natural and local wine agenda. For other degustation options, Richard Mee's produce-driven seasonal menus at Mercato remain a solid bet, especially if you're game for a coat of arms situation – Romsey emu carpaccio chased by kangaroo in a native pepperberry and shiraz sauce. But you'd as easily drop into this airy, breezy dining room for a cheeseboard after hitting the nearby Sunday markets where you can pick up quality woodwork (buy a chopping board), strudels, baby sweaters and military memorabilia. The Perfect Drop is newer to the scene, juxtaposing a cutesy vintage room and live jazz music (at weekends) with some next-level cooking built on house-made ricotta and a roll call of Victoria's best produce, including Istra, Holy Goat Cheese and Mount Zero. The lamb tasting plate is stacked with sumac cutlets, shaved tongue and twice-cooked belly and will feed two, or just drop in for happy hour (4pm to 6pm daily) for $10 cocktails and $1 oysters. If you'd rather restrict your weekend wardrobe to the breezy and elasticated, the American obsession has spread to Daylesford, and '50s burgers, fried chicken, and sticky ribs can be found at Galley Diner. Moor Please shines with casual excellence. 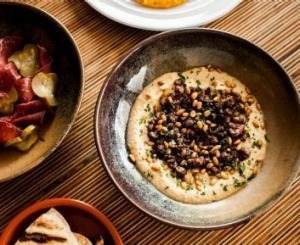 Moor Please, an outpost of the Melbourne Moor's Head restaurant, delivers all-day casual excellence in the form of strong service, date-studded braises, pulse-driven salads and foot-long Turkish pizza that you can take away. MP also does breakfast including smashed avocado classics and a cheesy, spicy Turkish rarebit with bastourma – the Middle East's answer to pastrami. Other breakfast options include the new Boathouse, on the edge of the lake, but you come here more for the view, the cakes and to throw bread at the ducks and paddle boaters than for coffee. Better to get your buzz on at Buffalo Girls Coffee Bar, where single origins, crisp-edged rosettas, and specialist coffee equipment abound in a warehouse space resembling a student union. Mercarto offers produce-driven seasonal menus. It's hard to see how Wine and the Country is making money. Its wine flights go for $10 for six tasters, and there's zero corkage. Pull up stumps at the communal tables and start drinking some of the region's (and world's) most exciting wines right now – off-piste French cuvees, local legends and South African chenins – at retail prices. Owners Jen and Owen Latta (winemaker from nearby Eastern Peake) are two of the nicest people in town, plus there's vinyl spinning and locals drinking Melbourne Gin Company gin with Blood Moon tonic, and scoffing Holy Goat Cheese – for cheap. Check for special events too. Otherwise, a short drive away in Lyonville is where the action is. Radio Springs Hotel is marked by a road sign reading "Centre of the Universe". It might well be. There's a Hotel California vibe here – visit for a Holgate beer and you're guaranteed a full guided tour of the gigantic gardens replete with fully functioning, velvet-draped cinema. To the rear are '50s-style guest rooms, the main one with a claw foot bath. It's party lights, craft beers, open fires and crazy tat as far as the eye can see. Rockabilly bands are a regular event and on Thursdays, some of the most authentic Thai in Victoria comes out of the kitchen. 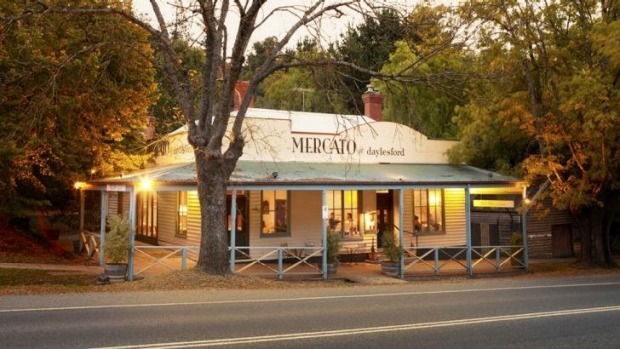 A free shuttle gets you here from Daylesford and back. Back in town, the vine-shrouded Farmers' Arms pub does decent counter meals and bar snacks, hosts live music a few times a week and has a big beer garden where pets are welcome. Beer fans, get internationally and locally soused at Breakfast and Beer. Breakfast and Beer, 117 Vincent Street, Daylesford, (03) 5348 1778, breakfastandbeerdaylesford.com.au. Glamping (fancy camping) is now a thing. It's winter, but Cosy Tents Daylesford features a wood fire and thick bedding in each luxury tent. 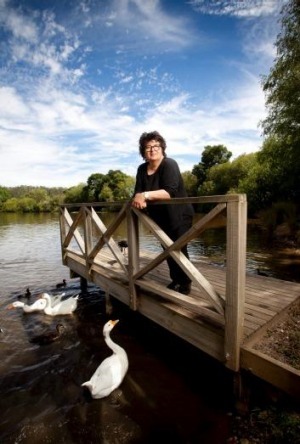 41 Golden Point Road, Blackwood, 0411 322 937, cosytents.com.au. This strange and amazing Victorian mansion on the hill features quirky rooms with wood fires, claw foot baths, outdoor spa and free port and sets of playing cards. Drop that money on the retreat cottage (with its own garden spa and fire pit) or get a room, if only for access to breakfast in a two-hatted restaurant.